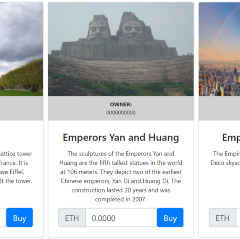 We represent EtherEstates.io: the grandest collectibles game on Ethereum! We apologize for the downtime! The marketplace is back online. We had a problem with our Google Cloud SQL service. If you couldn’t see the marketplace that is why.